FILE PHOTO: Canada's Prime Minister Justin Trudeau speaks during a press conference where Alphabet Inc, the owner of Google, announced the project "Sidewalk Toronto", that will develop an area of Toronto's waterfront using new technologies to develop high-tech urban areas in Toronto, Ontario, Canada October 17, 2017. OTTAWA - Canada’s ruling Liberals won a special election in Quebec on Monday, picking up a parliamentary seat in a province where insiders say the party needs to do better if it is to retain power in a 2019 federal election. Provisional results showed Prime Minister Justin Trudeau’s Liberals won the constituency of Lac-Saint-Jean with about 36 percent of the vote, with the separatist Bloc Quebecois in second place and the opposition Conservatives close behind in third. The Conservatives had held the seat before the sitting legislator retired earlier this year. The Liberals, who now hold 41 of Quebec’s 78 seats, privately say they need to win another 12 in the province to offset expected losses elsewhere and maintain their majority in the House of Commons in an election in October 2019. Quebec polls show the party far ahead of the Conservatives and Bloc Quebecois in province-wide support. 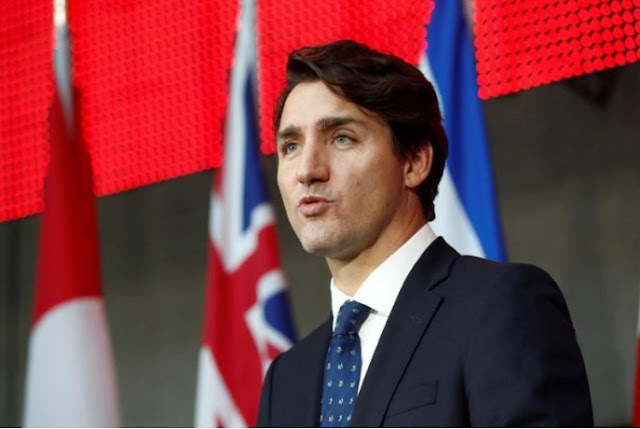 National opinion surveys though show Trudeau’s government is slipping in popularity amid an alleged conflict-of-interest problem involving Finance Minister Bill Morneau. Provisional results also showed the Conservatives easily retaining the seat of Sturgeon River-Parkland in the western province of Alberta, the party’s stronghold. Canada’s ruling Liberals won a special election in Quebec on Monday, picking up a parliamentary seat in a province where insiders say the party needs to do better if it is to retain power in a 2019 federal election. Provisional results showed Prime Minister Justin Trudeau’s Liberals won the constituency of Lac-Saint-Jean with about 36 percent of the vote, with the separatist Bloc Quebecois in second place and the opposition Conservatives close behind in third.